Ted is best known for his leadership of IT-enabled business transformations at several Fortune 100 enterprises across multiple industries. Examples include delivering global elements of a corporate turnaround at IBM Corporation, advancing world-wide supply-chains and earnings growth for Starbucks Coffee Company, and restructuring IT divisions and transforming enterprise business strategies for three multi-billion dollar BlueCross BlueShield Health Insurance Companies. He also serves as Board Director for companies transcending successful Initial Public Offerings and or corporate reinventions. He is the founding chairman of HITP, a consortium of advanced healthcare organizations that is pioneering true transformation of healthcare through new business models and advanced IT. As CEO and founder of Symbotix, a leading management consulting and business reinvention firm, Ted is currently engaged as a trusted advisor to leading c-suite healthcare executives across the value chain. Symbotix informs decisions on business imperatives such as: IT-enabled business transformation, innovative business models, integrated healthcare ecosystems, and information analytics that influence outcomes and promote consumerism in healthcare. Ted holds a Certificate of distinction in Strategy and Innovation and an Executive Degree in Technology, Operations, and Supply Chain Management, both from MIT Sloan School of Management. 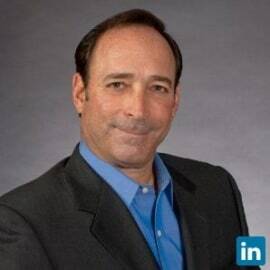 Specialties: C-Suite Business and IT Strategist: Management Consulting, Enterprise Restructuring,  Corporate Turnarounds, Healthcare Innovation and Transformation. Successful experiences with HIEs, ACOs, PCMH, general management/business operations roles as well as Chief Information Officer and Senior Partner consulting positions.